"Love Me Because" is an annual P.A.W.S. 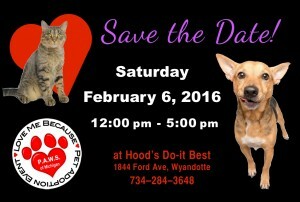 of Michigan adoption event for special needs and harder to adopt animals. 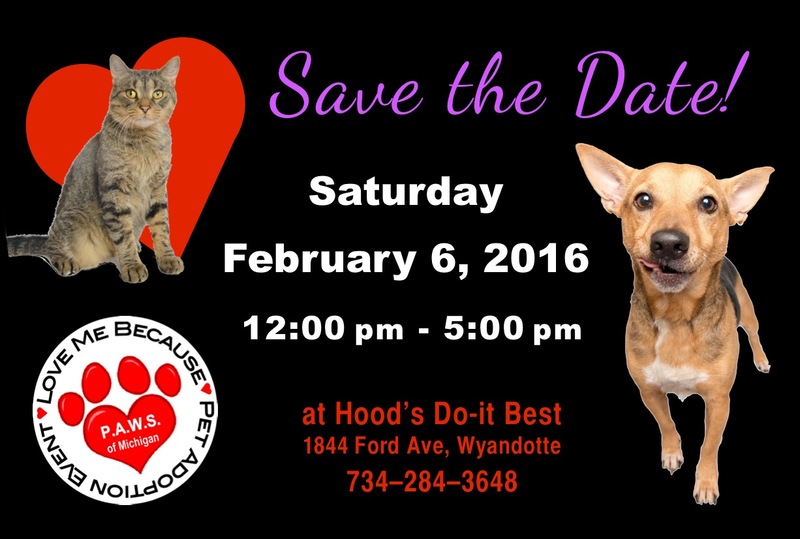 It is held each February at Hood's Do-it Best in Wyandotte. The event features a silent auction, raffle, and many special animals that are usually overlooked for adoption for a variety of reasons. 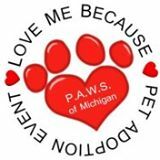 To learn more about "Love Me Because...," visit the event website, or email lovemebecause@pawsofmichigan.com. You can also like "Love Me Because" on facebook at https://www.facebook.com/LoveMeBecausePetAdoptionEvent Click to view a video of our very successful 2014 "Love Me Because" event.